I am pleased to announce another closed sale in San Francisco: 3336 Market Street was a gem of a house with city skyline views. 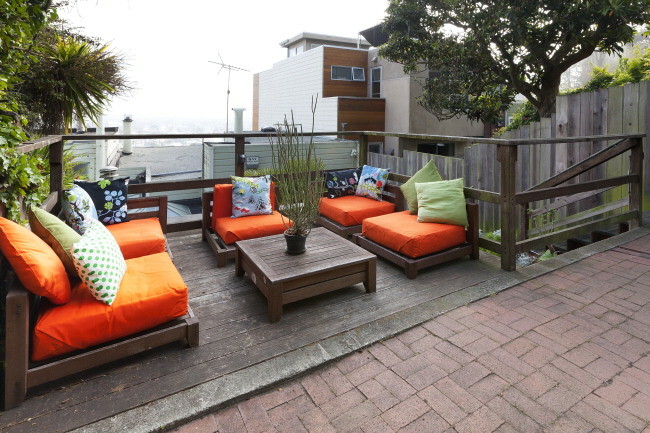 Located at the base of Twin Peaks on Upper Market this home is a short distance to public transportation, dining, shopping, and nightlife. The house sold quickly because it was updated with a designer’s eye. There are 2 bedrooms and 1.5 baths (second bedroom/half bath are unwarranted). Features included recently refinished parquet hardwood floors, new interior paint, updated main bathroom, new light fixtures, a wood burning fireplace, and an open eat-in kitchen. Exterior features included a one car garage, a detached storage shed & a tranquil private terraced rear yard with patio, gardening space & upper view lounge area. If you are thinking of selling and would like some advice on how to best prepare your property, please don’t hesitate to contact me for a complimentary consultation.